What a wondrous time of family conviviality this week is. 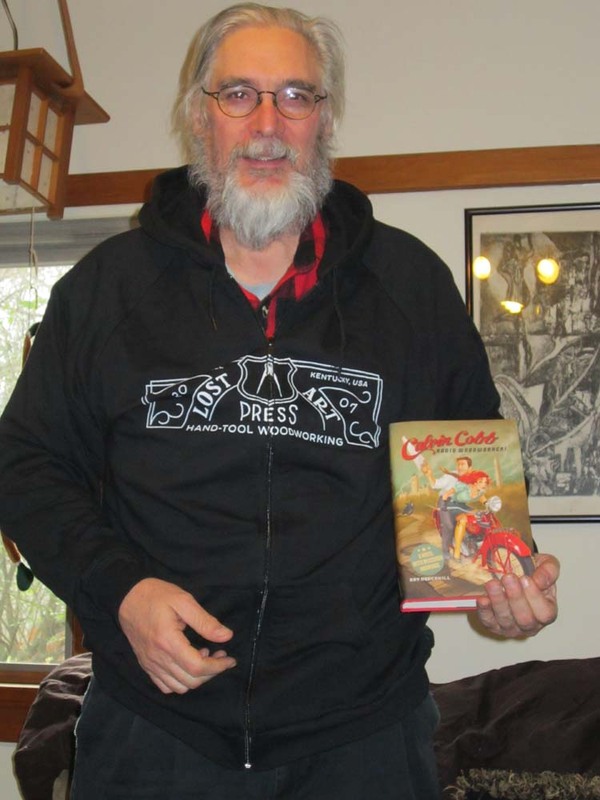 Thanks to the unerring taste in Christmas presents by my wife and daughters, I was gifted with the LAP hooded sweatshirt and te new LAP book Calvin Cobb, Radio Woodworker. In addition, with some Christmas currency I have three LAP videos coming my way along with the 2nd Edition of the Moxon. A time of loving celebration in the bosom of my family, beautiful weather, and toolish gifts along with the thermal socks and undershirts I asked for. Does it get better than this?